The first event was the year 7 Girls 1500m and the girls ran in a pretty decent down pour of rain. Within the hour the rain cleared but remained cloudy and the wind slowly built to a point where the back straight for the 800m, and any throwing/ jumping events into the wind meant very little chance of records being challenged. Having said that, all 300m times were records this year. The weather changed yet again, and the last events of the day, the relays and the year 7 boys High Jump final had to deal with high humidity and hot conditions. The wether certainly added some spice to the day alongside some very good athletics competition. Well done to all the athletes that took part. 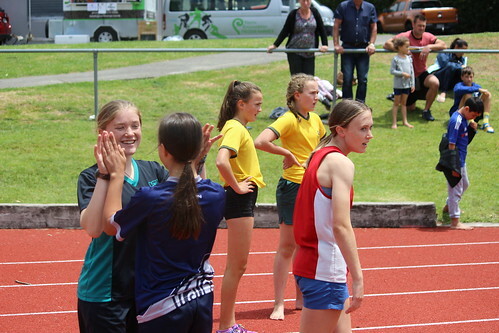 A special thankyou to Murray and Fay from Tauranga Athletics who always support this and other school events across the summer season.